This delightful one Bedroom Condo is located just one block to the turnaround and offers a panoramic Ocean view. Includes a full kitchen, fireplace, Jacuzzi tub, and W/D. Beautifully furnished with a nautical theme, videos, games, and two plasma TV's. You will relax in comfort by the gas fireplace overlooking the famous Promenade. Ask about our Winter Specials. (Sleeps 2-4) There will be a $60.00 cleaning fee for this unit. 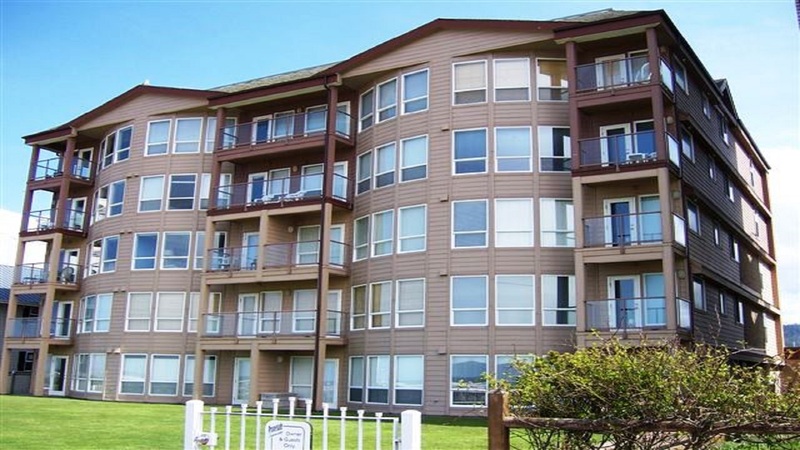 This Oceanfront Condo is located only one block from the turnaround in downtown Seaside. Features a panoramic view of the Oregon Coast from Tillamook Head to the Columbia River. Completely remodeled 1200 sq. foot unit with all new furnishings. Includes Fireplace, Flatscreen TV. Jacuzzi tub and laundry facilities. (Sleeps 6) There will be a $75.00 cleaning fee for this unit. This luxurious 3 bedroom, 3 bath unit is new to our rental pool and is located right on the fourth floor. All new decor including furniture, dishes, linens and art work. Panoramic view of the turnaround and Tillamook head from the living room and master bedroom. Located just 1 block to downtown and restaurants. There is lots of private off street parking for our guests. Also includes WiFi, 4 flat screen TV's and two fireplaces for your enjoyment. (Sleeps 6) The cleaning fee for this unit will be $150.00.